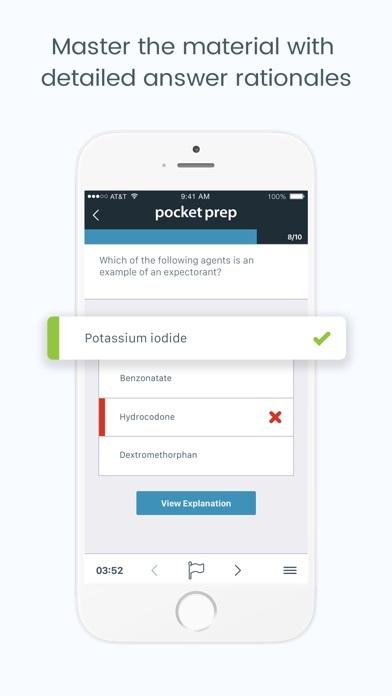 Pocket Prep is your award-winning tool in mobile learning and exam preparation. 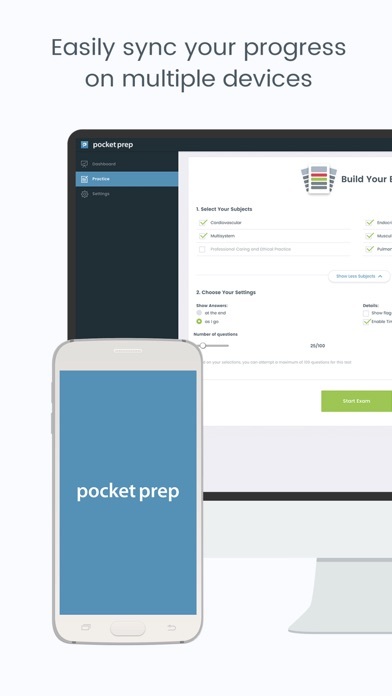 Pocket Prep allows you to study anywhere, anytime, right from your mobile device. We strive to make studying more efficient by redefining how you prepare for the Certified Medical-Surgical Registered Nurse (CMSRN®) exam. * Academics’ Choice “Smart Media” award winner * EdTech Digest “Cool Tool” award winner The Science Behind Mobile Learning: Overloading your brain with too much information at once is a common study mistake. Research has shown that smaller, more frequent study sessions are the key to knowledge retention. In other words, taking short quizzes on the go is a much more effective means of exam preparation than reading page after page in a textbook. Apps offer the benefit of interaction, which means you’re far more likely to remember a concept you engage with rather than one you’ve only read about. Take your med-surg studies with you, no matter where life takes you. 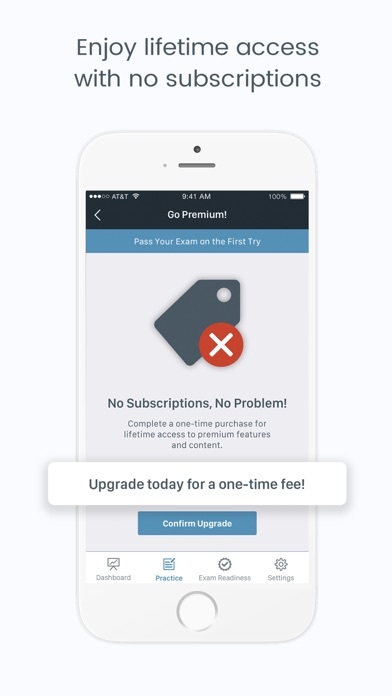 Get Started for Free: We provide a limited free version so you can get a feel for the app before deciding to upgrade. The free version offers dozens of practice questions with detailed answer explanations and limited access to the Question of the Day. Want Even More Practice? Choose your ideal study package to gain access to our proven test bank. You'll enjoy: - Hundreds of practice questions and detailed rationales - Access to Question of the Day (QOTD) - All social media bonus questions - Exam Builder to create customized exams - Money-Back Pass Guarantee* - Priority in-app support Pocket Prep Features: - No internet required - Study Modes: See answers as you go or at the end - Retake past exams with a single tap - Study reminders and QOTD notifications - Automatic test saving and retrieval - Detailed history and results reporting - Exam day countdown - Multi-device ready Our team of writers and editors are industry leaders who have meticulously crafted practice questions and detailed answer explanations with you in mind. Since 2011, Pocket Prep has helped over six million students and professionals achieve more. Need help? Contact us through the app’s support section at any time for a response within a few hours. *Terms and conditions apply for our Pass Guarantee. See our help center for details. Pretty much just studied these questions over a couple months. Read the rationales. Although it started to get slower and slower loading tests and freeze and crash on some occasions. Five stars for the questions. Definitely a good portion of anatomy and physiology questions. Another great resource is YouTube channel registerednursern she reviews nclex stuff but also excellent review for medsurg test. Love having small practice tests. Answers and rationales can be had immediately or at the end of the test. Convenient. The questions are challenging (in a good way) and the answers can always be found in the book (each question includes reference pages). Bought this but cannot answer questions which call for more than one answer. Each time these questions pop up ,then the app freezes and I must start all over again on a new test with different questions,..., really not cool! Am not even sure if this review will be allowed! It's really expensive. I like the cited references and the questions are great. However there are others apps with half the questions for $5 instead of thirty. Too focused on anatomy and definitions. As with any nursing exam, be it the NCLEX or a certification exam, it is focused on asking questions regarding a scenario and what the nurse would do (or do FIRST), what the nurse would anticipate next, and education. 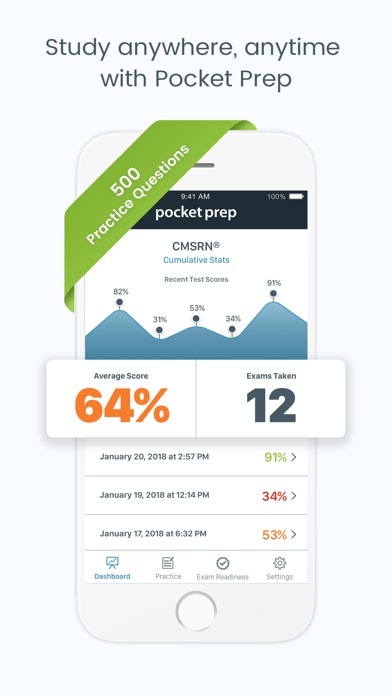 This app, just from the 50 free questions I did in 15 minutes, was more about memorized anatomy and terminology definitions and less focused on actual MedSurg nursing. I would personally recommend rereading your giant NCLEX prep books to study instead. No way I would pay almost $30 for the full version with 450 questions when I have my Saunders Comprehensive Review for the NCLEX-RN Examination book with over 4500 questions and rationales. I used this app as one of the tools to study for my CMSRN. I took the exam today and I passed it. The questions on this app are much harder that the actual questions in the test, which is good because when you do them, they make you think; and when you answer the test questions they seem a lot easier. I would definitely recommend this app as one of the tools to study for the Med-Surge Certification Exam!. I PASSED my exam and this app was my primary study method! 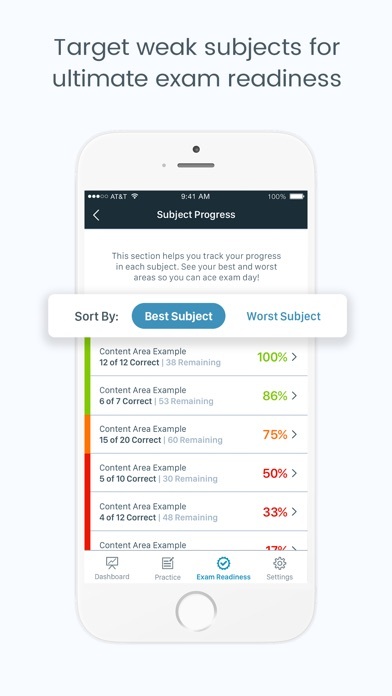 I consistently got 20-40% on the exams within the app because the questions are VERY hard, much much harder than the actual test, but it gave excellent direction for studying and I loved the reminders that popped up! 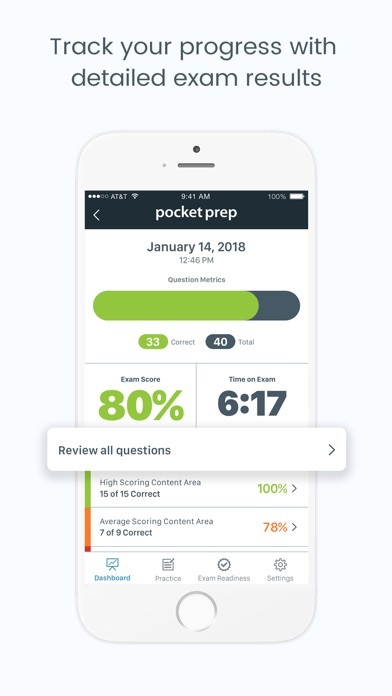 I was nervous about passing because of my horrible scores within the app and that's why I'm reviewing, because I want to recommend this app and ease anxiety about how hard the questions within are, and how even though they're hard questions they stimulate thinking which is exactly what you need! I utilized this app along with a study guide and another set of questions. After using it, I felt very prepared for my exam, which I passed on the first try.